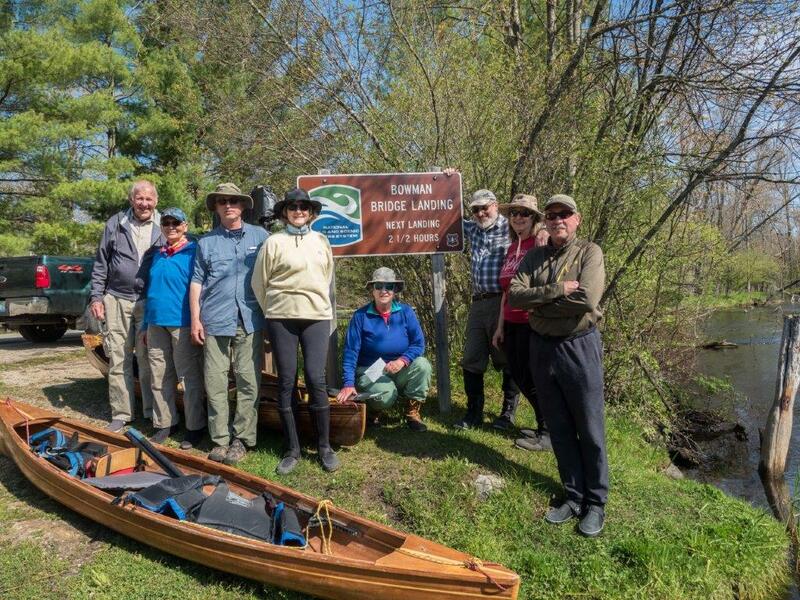 The group paddled from Bowman Bridge to Upper Branch Landing. A glorious spring day, with sightings of great blue herons, large snapping turtles, a swimming muskrat, families of Canada geese, a scarlet bunting and lots of fish. Marv once again was our "shuttle bunny". Pam & Harold were presented with a restaurant gift certificate in appreciation for hosting the leaders' party last weekend. Others along were Marlene, Sue & Gerald, Glenn, and John & Lois. 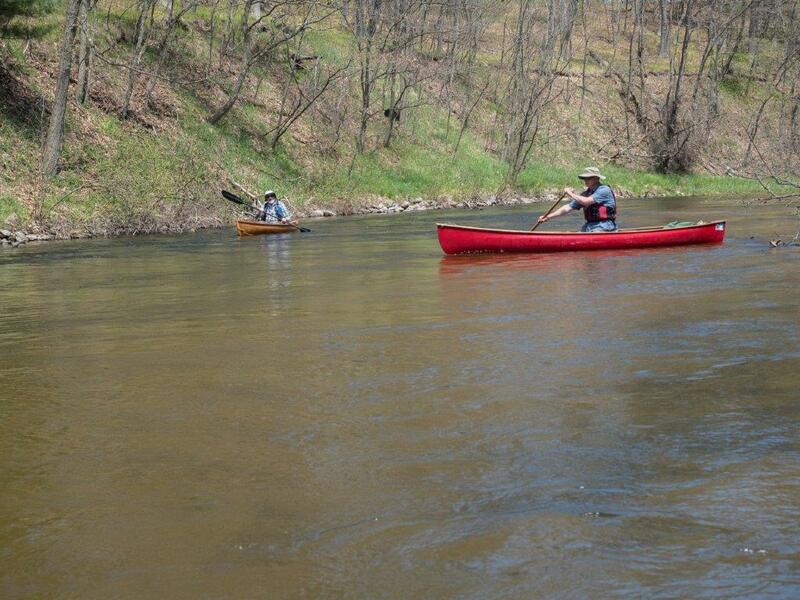 It was great to have all experienced paddlers on an easy river, so that we could alternate easily from lead to sweep. 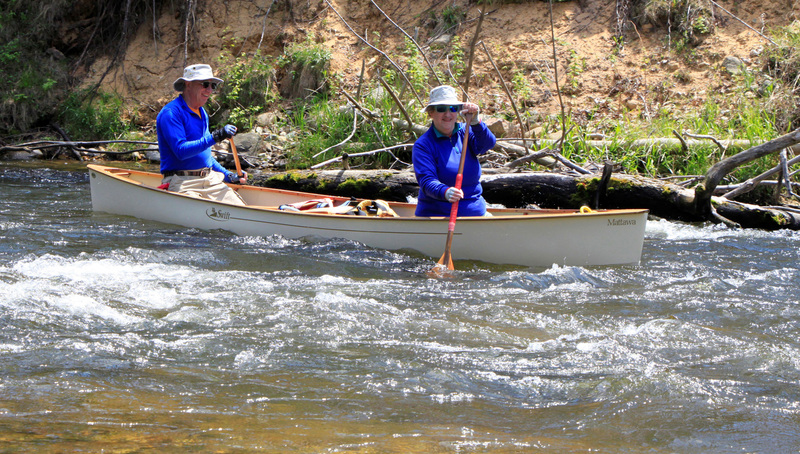 Just an all around relaxing day, with one tandem canoe for the anniversary couple, two solo canoes, two kayaks and two Wee Lassies. Photos by John & Harold.